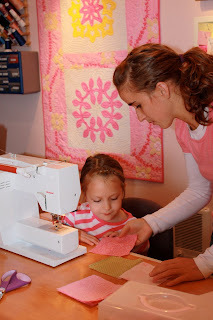 In case any of you didn't know, we teach sewing classes to lots of little girls. In fact, we have 25 students right now! Most of them have been taking them since we first started in January. 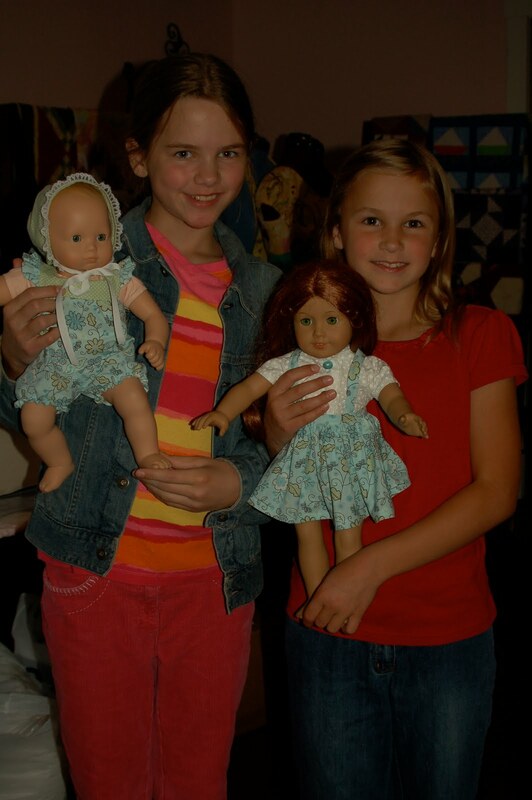 They have come a long way- from never having run a sewing machine before to sewing there own dresses! It sure is encouraging to see all the girls progress, especially since they are so excited about it and now being able to make gifts for all their friends and family. I look forward everyday to seeing their bright faces pop into my shop, urging to find out what they are going to learn next. Who knows? Maybe some of those girls will work for us someday... but even if they don't, they are learning a good skill. It's great you are giving the sewing skills you learned to younger girls. If you enjoy sewing and are inspired about teaching girls how to sew, then your students will be excited too. When you get a chance, check out our new blog. Ooops! I forgot! In your post you wrote "there own dresses" which should be "their own dresses". I have to continually check my posts to see if I have misspelled any words. I guess my eyes are getting sharper for any spelling errors. I still miss some of my own though.